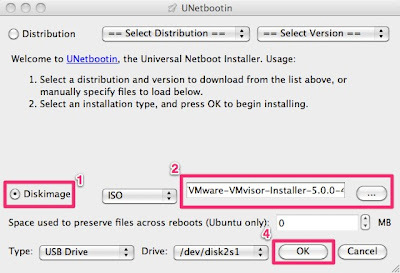 I have used UNetbootin in the past to move VMware ESXi 4.0 installer to USB flash drive, since then, however, this great tool now also works on Mac OS X (in addition to Linux and Windows). 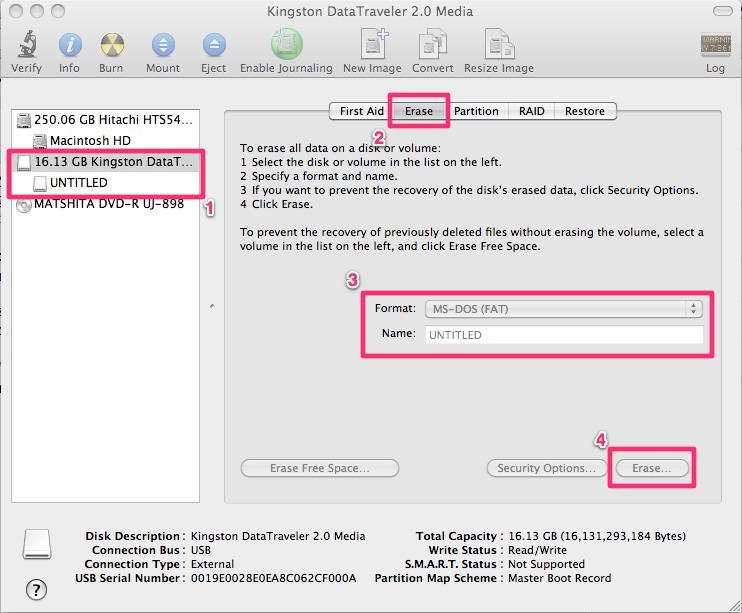 Since my MacBook Pro is the only other computer I own at the moment, this is a great new development. 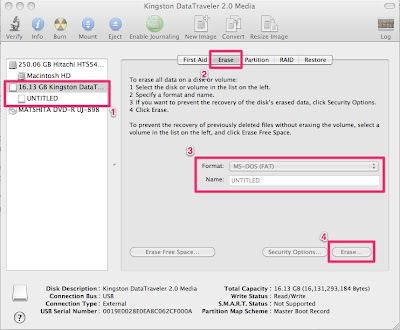 Now let's do the same thing with ESXi 5! 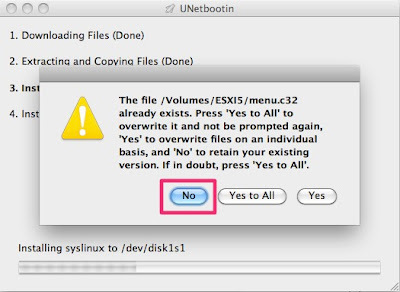 When wizard asks whether you want to overwrite menu.c32 file, answer "No". 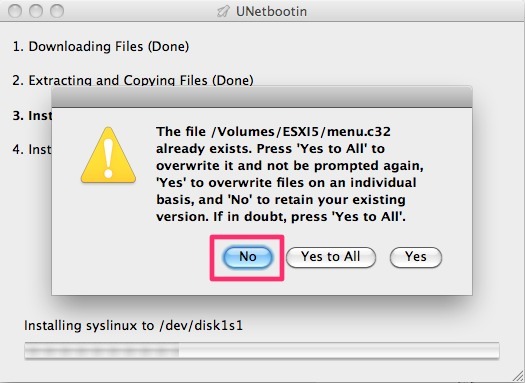 This will allow you to boot directly into ESXi installer and bypass Syslinux default blue boot menu. 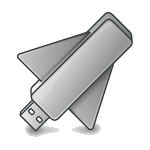 Finish, eject and you're ready to install your sparkling new Hypervisor. 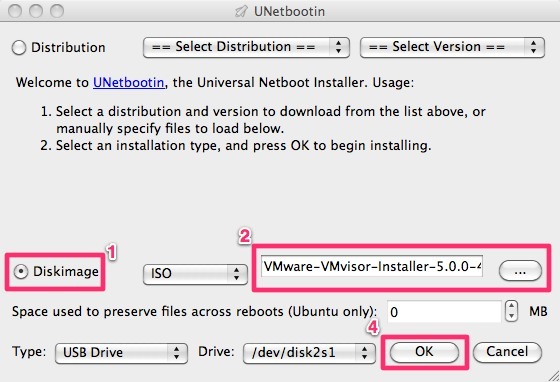 Update: as you can see in comments below, it seems these steps are not quite sufficient to boot ESXi installer. I also had to enable UEFI boot option in BIOS, while Raul added a kickstart configuration.